Today was Day #9 of Chocolate and Peanuts Theme Week. 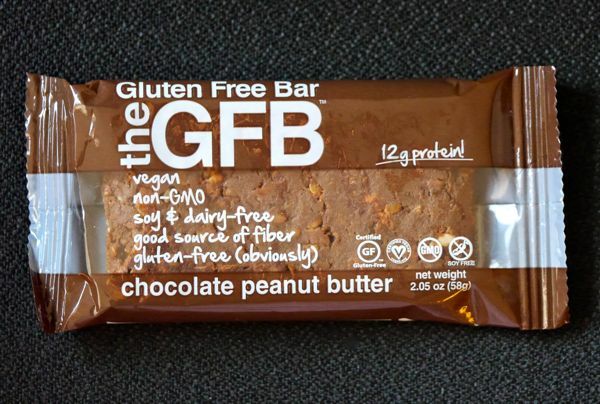 I avoid gluten, so I'm always happy to find chocolate items like today's "The GFB Gluten Free Bar." This line of gluten-free bars from West Thomas Partners LLC (Grand Rapids, MI), includes different flavors. Today's flavor was chocolate peanut butter. The bar had a slightly odd, smoky aroma. It had a pleasant chewiness (not to gooey and not too stiff). The flavor was similar to other protein bars with a very mild nutty taste from the peanuts and a hint of cocoa richness (from cocoa butter, cocoa mass (liquor) and cocoa powder). 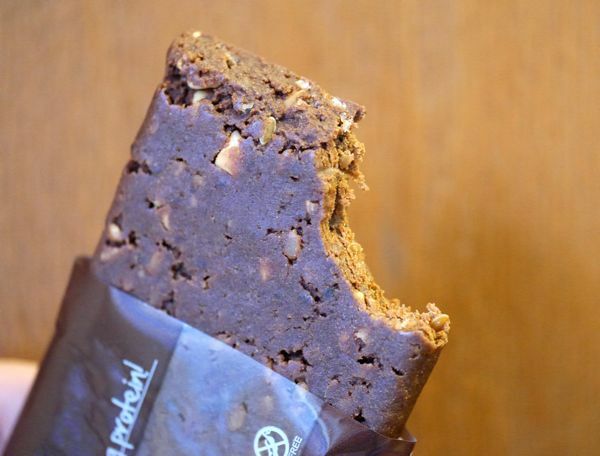 The texture was slightly smoother (less gritty and less dry) than many other protein bars. You might detect a golden flaxseed or two, but nothing unpleasant. And it had a relatively clean finish.